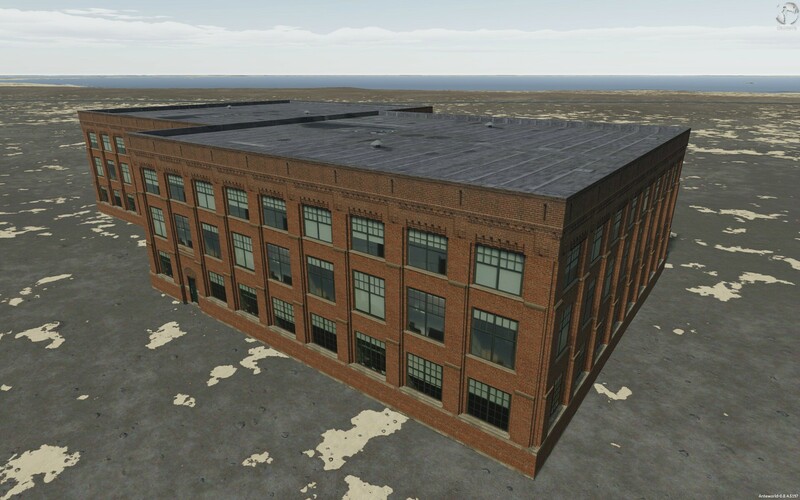 Finally finished the warehouse model. It a relatively low poly model with a good resolution texture but unfortunatly... no interior . I also included the sketchup file and a psd of the textures in case somebody else would want to play with it. I'm kind of testing another way of texturing with this one. The idea is to make the texture first with all achitectural details in one texture file with quite a few of these details in seemless horizontal tiling . Then i can apply that texture on a box and start to shape the building from there. I will try the same thing with other buildings in my neighborhood, taking photos and hopefully build up a small collection of these textures. Sorry about that. First time i export something since i reintalled the game. Unfortunatly i messed up a bit the installation and now some features work using the windows(x86)/outerra path and others with the user/.../outerra path. Like to spawn something, it has to be in the windows(86)/outerra path but it will import and export from the user/.../outerra path only. Need to figure this out. Anyway, i repacked the otx so it should work now. Very nice model, M7! Thanks!